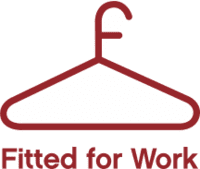 Fitted for Work aims to assist women experiencing disadvantage and hardship to get sustainable employment. They do this by providing free personal outfitting, mentoring, interviewing preparation and a range of transition to work programs. This fantastic work is made possible through the donations of high-quality second-hand clothing and a team of skilled volunteers. To help women experiencing disadvantage get work and keep it. 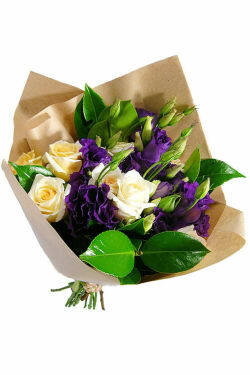 This March, 10% of proceeds from our Roses and Lisianthus bouquets will go towards the great programs at Fitted for Work. Send this beautiful bunch of lovely Roses and Lisianthus to someone special and help support disadvantaged women in our community. In Australia, 350,000 women are currently registered as looking for work. For many women, simply not having access to appropriate clothing for interviews can be a large barrier to finding employment. Fitted for Work operates its programs to help achieve financial independence for women in Melbourne.